My Pacific Crest Trail expierance began years before I hiked it - the first time I met a thru-hiker - and continues on well past Canada. In the form of memories, photos and friends the Pacific Crest Trail will always be alive in me. 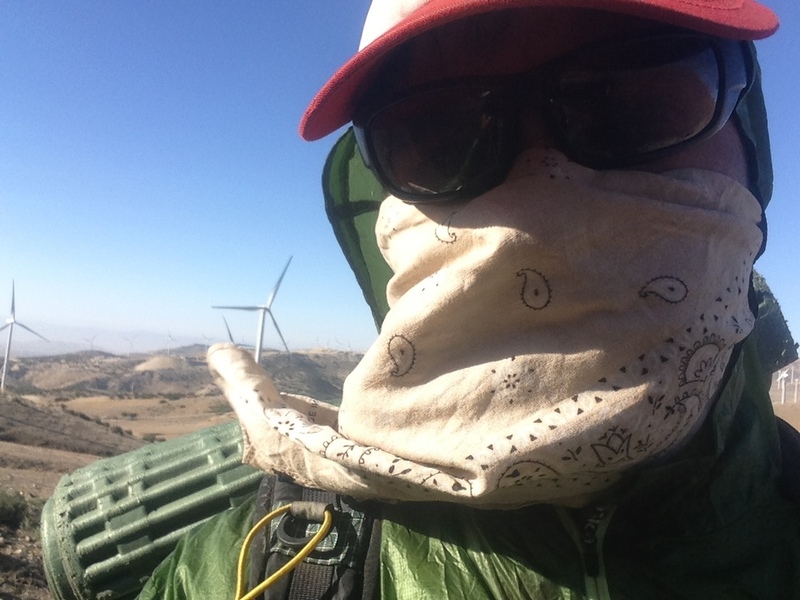 I hiked the Pacific Crest Trail in 2013. It took me 4 months and 1 week to hike the whole trail. It was frequently a grueling experience but it was rare that I wasn't able to still appreciate the beauty around me. The PCT starts in the desert. I've heard some people say that, if they ever hiked the trail, they would skip the desert section - the first 700 miles of the 2660 mile adventure. In my opinion, the desert ties the experience together. The border land impacted my sense of nation. The sand that crept into my shoes ground my feet raw. The desert instilled in me a complete understanding of my body's reliance on water. The relentless heat with sparse offerings of shade juxtaposed against the frigid starry nights. Coyote and deer. Cactus and Wrentit song. And when the desert finally ended, I cried, because in my bones and on my skin I could feel it end. I was grateful and sad to suddenly reach the Sierra Nevada mountain range and be surrounded by vegetation and water. Truly, the Sierras arrive on the trail as a clear rite of passage. The 700 hot and dry miles that precede the glorious range of mountains act as a filter for the weak of body and mind and the Sierras act as a gauntlet of high passes and hard-earned miles. The stunning vistas of the Sierras cannot be overstated. They cannot be stated at all. They are beyond both words and pictures. Here I am mid posthole high in the Sierra Nevada mountain range. I met more lifelong friends in 4 months on trail than I have met in the rest of my adult life. I don't know if it was the shared experience or the shared madness that compelled each of us to attempt the trail, but there is a common thread that goes right through the heart of me with so many of the hikers who I shared my days with. Colin Arisman hiking through the Sierra Nevada Mountains. For those of you who don't know: A trail angel is someone who helps hikers out on the trail. It can be a small token - like a beer - or a large effort like a place to stay and a ride to a gear store. The PCT would be a lot more challenging without these people who are hard to not run into. Often times the greatest gifts come from people who have never helped a thru-hiker before but are amazed by the romance of the adventure. Hiking the Pacific Crest Trail is like being a homeless person who is respected by all (and wears expensive, dirty clothes). Northern California, Oregon and Washington are a lot more similar than the initial desert section. There are some dry stretches but for the most part water is plentiful and the views are consistently poignant. The monotony of hiking every day started to creep up on me in Oregon where I was hiking alone for the first time. It was a feeling that in greater and lesser quantities would stay with me until I reached Canada. It makes sense: day after day, and hour after hour my body was moving in the same way at a pace that always teetered on the edge of being unbearable. That was my own fault. I had an addiction with hiking fast, lightweight, and efficient. Those three principles have changed my life forever and taught me lessons that I needed to learn. Hiker trash gathering at a watering hole. One lesson that hiking quickly taught me happened in Washington. It was early in the morning, and I was trying to hike ten miles before ten o'clock as I often did. The trail was meandering pleasantly through a cedar grove when I happened upon a pristine spring flowing out from beneath a cedar tree into a small pool. I could feel that the air around the spring was slightly cooler than the hot summer morning and the water smelled fresh and clean. I had the image of drinking directly from the pool and washing my face. I had the opportunity to make that dream a reality. It would have been so simple, but I kept walking. In reflecting on that moment I learned to embrace those golden opportunities that make life exciting. When the trail ended it was time for it to end. I was tired of walking. My fatigue had caused me to lose sight of the beauty that constantly surrounded me. I needed to rest. I was very lucky to be able to finish the trail with a very good friend who I had met on trail, and to share a pint of Canadian whiskey with him at the monument that marks the end of the trail. I'm so grateful I have time in my life to adventure. I referred to myself that summer as a recreational migrant, and it was true. Those lucky enough to have the means and the time to hike the trail should take the opportunity. The most restrictive aspect of the trail isn't the difficulty of the hiking; it is the time that a hiker must take away from their life that stops most people from hiking. Instead of making room in my life for the PCT I made the PCT my life, and I don't regret anything.